Edna tests each of the Parr’s super suits. No capes! This is a horrible suit, darling. You can’t be seen in this. I won’t allow it. Fifteen years ago, maybe, but now? Feh! I never look back, darling! It distracts from the now. Yes, words are useless. Gobble, gobble, gobble, gobble, gobble! Too much of it, darling. Too much! That is why I show you my work. That is why you are here. 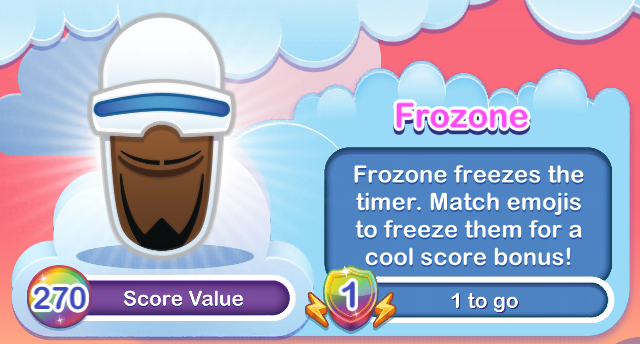 Frozone freezes the timer. 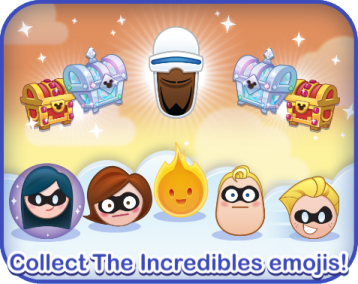 Match emojis to freeze them for a cool score bonus! Frozone (A.K.A. Lucius Best) uses the moisture in the air to create an cool super power. Freeze the timer, then freeze emojis as quickly as you can. When the thaw happens, triple points come your way. Zooms across the board to clear emojis! Dash is the second place finisher at his school race. When he finished the race, he was the only participant that wasn’t winded! He won’t hold back his speed here though. 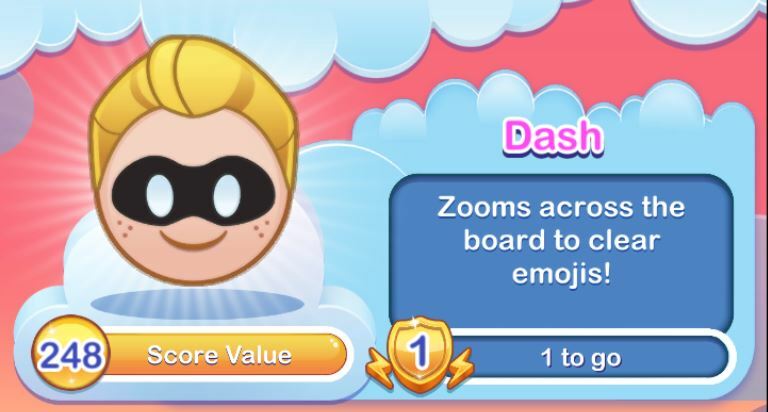 Dash clears emojis by running across the board from multiple directions. Tap and hold to grow Violet’s force field and clear emojis within! 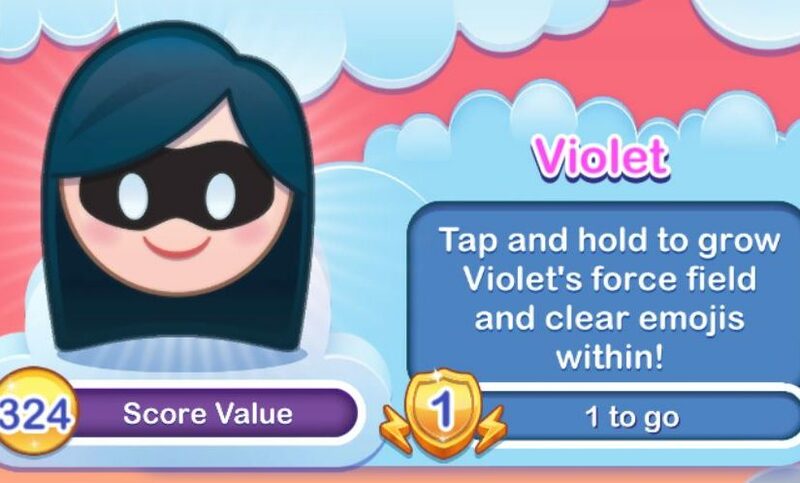 Tap a spot on the board to activate Violet’s force field. Her power meter will drain a little. If there is power left, you can tap additional spots to create another force field until the meter drains completely. Or tap and hold a position to create a larger field in one place. 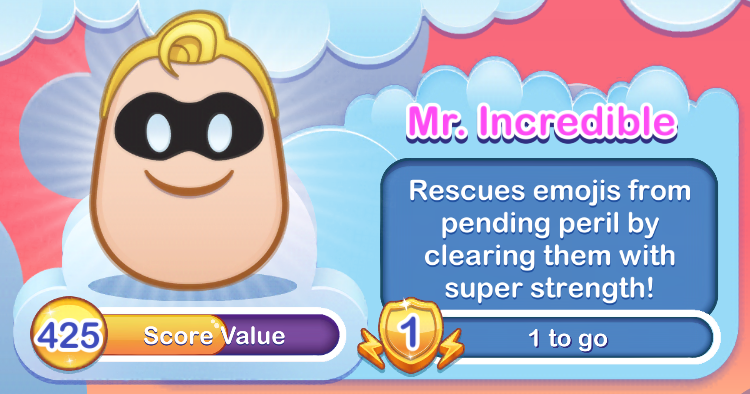 Rescues emojis from pending peril by clearing them with super strength! Someone (and my money’s on the Omnidroid) is hurling automobiles through the air towards unsuspecting emojis! Mr. Incredible to the rescue. He clears groups of emojis from the path of the crashing car, saving the day yet again! Tap the board to stretch punch emojis! 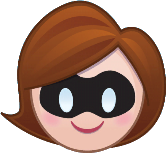 Moms are superheros too! They must be resourceful and dexterous to get everything done while they protect the ones they love. 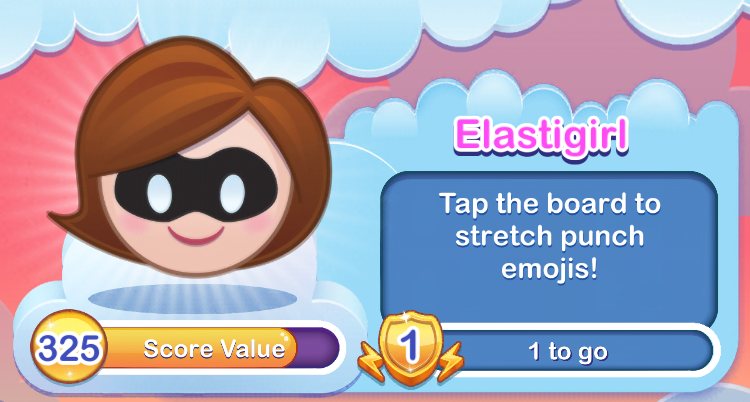 Touch an emoji and Elastigirl will eliminate the threat. A random emoji happens every time! Try to keep up with the baby! Will a giant Jack-Jack fall from the sky, bouncing emojis off of the board? Will demon Jack-Jack scare away emojis? Or will Jack-Jack do something else entirely? 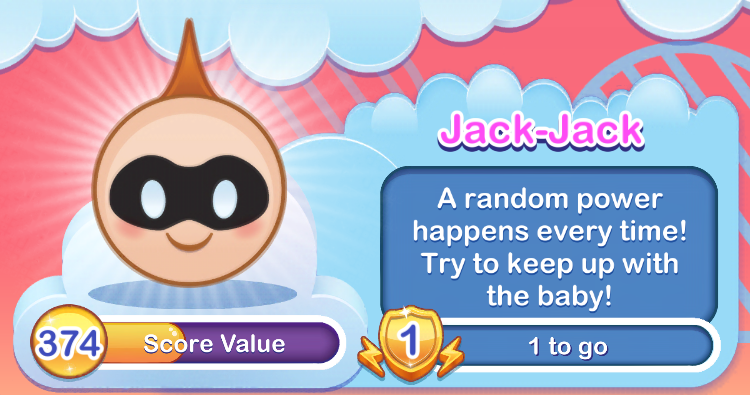 Play to find out all of Jack-Jack’s incredible superpowers.